Create a new page called “Home” or “Homepage”. The name doesn’t really matter! But then, on the right-hand side, find the “Template” dropdown in the “Page Attributes” box. 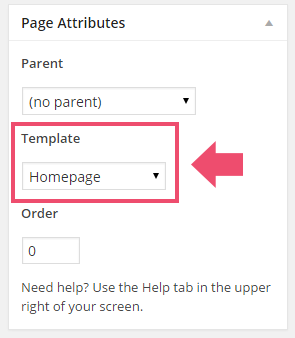 Select the template called Homepage and save your page. 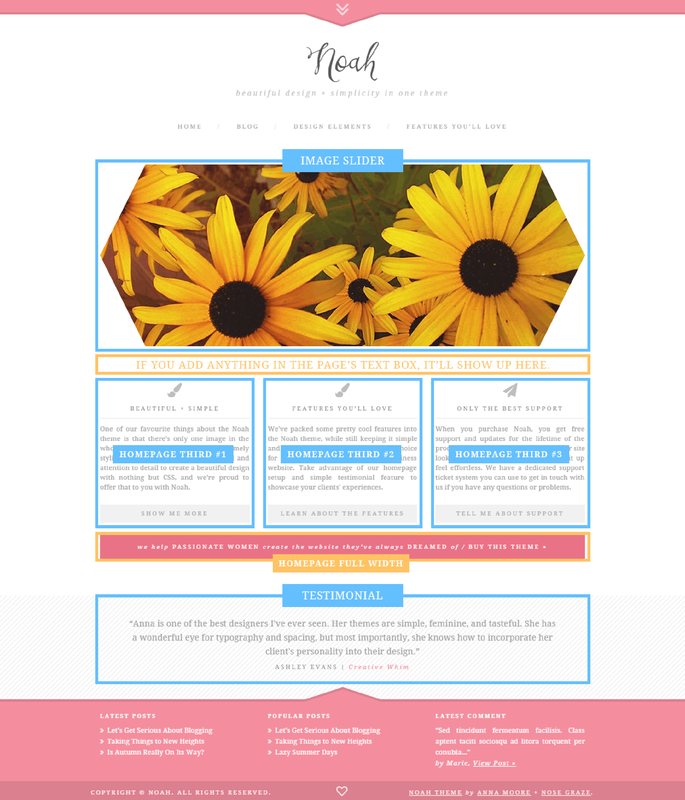 You’ll also want to create another page to use for the blog. Create a new page, name it whatever you like (such as “Blog”) and save. Navigate to Appearance > Customize. This will open the WordPress Customizer. Find and click the panel called “Static Front Page” and select the “static page” option. In the dropboxes below, set the Front Page to the “Home” page you just created. Then set Posts Page to the “Blog” page you just created. If you want to use the image slider on the homepage (we use it in the demo! ), make sure that is checked on. The image slider is enabled, and there is no content entered in the page’s text box.